Want to honor the victims of the Parkland shooting? It’s simple: Ban assault weapons. You can turn schools into medieval fortresses and add active-shooter training to the curriculum. You can fire the superintendent like you did the sheriff if it makes you feel that you’re doing something to hold those in charge accountable. You can legislate to identify and place obviously troubled children in mental health programs. But the death toll of innocents won’t stop. The killers prove to us over and over again that they kill because they want to — and they can because this country’s lax gun laws facilitate and enable the killing. Acquiring a high-powered weapon is as easy as walking into a weekend gun show in Anywhere USA. Same way you might acquire a painting at a decorator’s home show. In Florida, we even have a museum dedicated to the celebration and exultation of machine guns. It’s in Orlando, on one of the roads that lead you to Mickey Mouse. One year ago, it took six minutes — and the country’s preferred semi-automatic assault weapon of choice, an AK-15 — for a mad young man to slaughter 14 young people and three faculty members and injure 17 more. 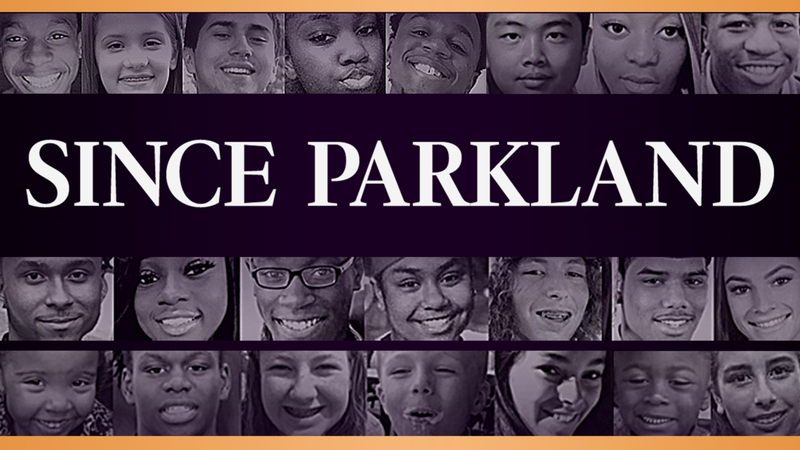 On this first anniversary of the unthinkable happening to us, we mourn again, hurt all over again for those who never came home from an ordinary day at Marjory Stoneman Douglas High School on Valentine’s Day 2018. But that isn’t the totality of the loss today. In the 12 months since the mass shooting, almost 1,200 youths have been killed by guns in the United States, according to a series by the Miami Herald, parent company McClatchy and The Trace, an independent nonpartisan news organization dedicated to the coverage of gun violence. Rampant gun violence has become such a staple of life in America — so deadly still, despite the horror and the movements clamoring for change the killings generate — that not only are there journalists assigned to its coverage but an entire online news operation is devoted to nothing but reporting on that subject. We cannot claim ignorance. The information on how to end gun violence exists, but the naysayers to any form of gun control cling to an absolute and amplified ideal of the Second Amendment, as the gun industry and its lobby, the NRA, demand. Of them, I ask this question: Are you ready to sacrifice the life of a loved one for the cause? If you don’t think dying by gun can happen to anyone, ask a Parkland parent. Fred Guttenberg tells Rolling Stone that when he talks to politicians about what happened to his beloved 14-year-old daughter Jaime, a freshman, he always does so standing up. It not an even split. The majority of Parkland parents, teachers, widows, and survivors want sensible gun control — and they’re using their grief and their anger to open our eyes to what’s in front of us. You’ve seen them in relentless action all year long on every front, from Tallahassee to Washington D.C.
Want to honor the victims of the Parkland shooting this somber anniversary? Sign the petitions. Support House Democrats in Florida who are addressing the gun death epidemic with a dozen gun control bills. If the Republicans in charge won’t join in bringing common sense solutions to mass shootings, as is most likely, there’s a Parkland families’ initiative to put on the 2020 ballot the banning of assault weapons as a constitutional amendment. “If these politicians don’t take action on this, the voters can,” said David Hogg, a Stoneman Douglas senior who in the wake of the shooting became a leader of the student Never Again movement. Join their efforts. Donate to organizations and the re-election campaigns of lawmakers working for change. Keep the conversation alive on social media, where public opinion is measured in tweets, shares and engagement by policy makers. Just don’t look away; Don’t surrender to gun talk fatigue. Despite what opponents and the NRA tell you, law-abiding, responsible gun owners have nothing to fear. The only goal is to take the preferred means of mass murder away from the killers. There weren’t enough words last February 14 — and there are no words good enough now — to express the sorrow on the somber anniversary of the slaughter of innocents who had their sacred lives to live before they came face to face with a weapon meant for war, never school grounds. But perhaps words aren’t necessary. Only persistent action can lead to change in our laws, and eventually, to the gun-worshiping culture that allows the body count to rise and tears to mark our Valentine’s Day.